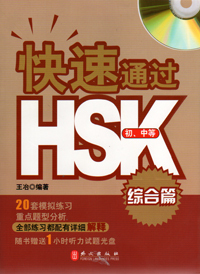 编码： 9789620443022. 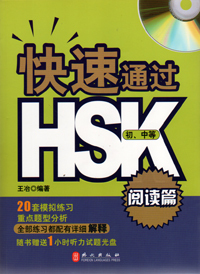 分类： 6-HS Mandarin, Chinese Made Easy, Language Learning, Pre K-8 Mandarin. 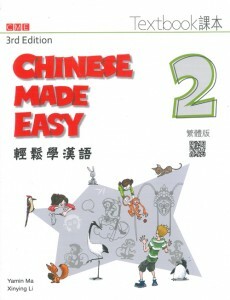 One of the best Chinese language textbooks for young students, Chinese Made Easy adopts a new approach to teaching Chinese as a second language. It is designed for young students taking SAT II Chinese Test (US), GCSE/IGSE Mandarin Chinese Exams (UK), and Australian Mandarin exams, or for those students who are starting to learn Chinese on their own. 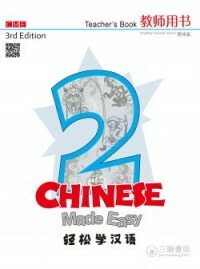 It features task-based learning coupled with a focus on form and function. 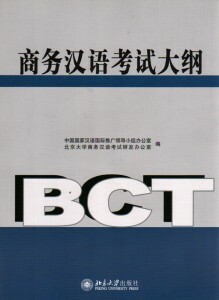 There are a wide variety of text presentations, practice materials, and up-to-date topics relevant to young students (ages 10 and up). Attention is paid to careful pacing for gradual progress in language skills, with clearly focused aims for each unit, regular consolidation, and consistent reinforcement. 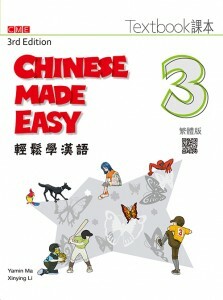 The language materials are presented in fun and interesting ways, with highly attractive and colorfully designed pages. 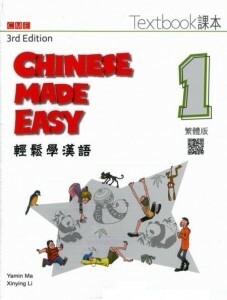 Please scan the QR code on the back of the book or visit the website (www.chinesemadeeasy.com/download/CME/) to download the recording.